Reversal Adapter - surplus-neus Webseite! 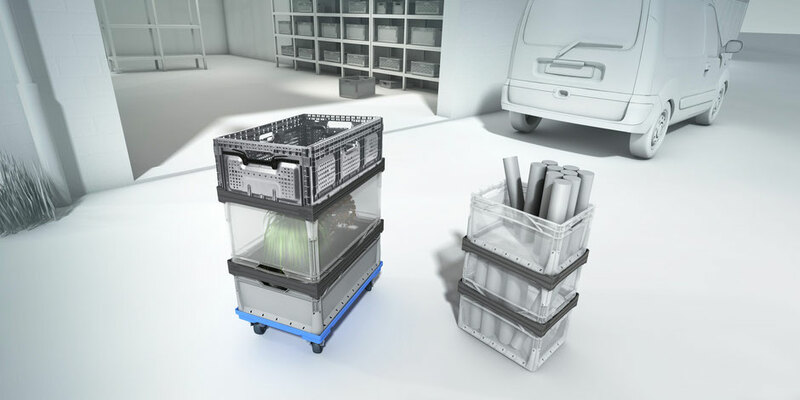 The reversal adapter is the new solution for transporting and storing of high-volume items, which exceed the standard heights of Euronorm dimensions (32cm or more in height). The reversal adapter doubles (or enlarges) the transport volume through intelligent upside down stacking. Furthermore, different Euronorm series from various manufactures can be combined! 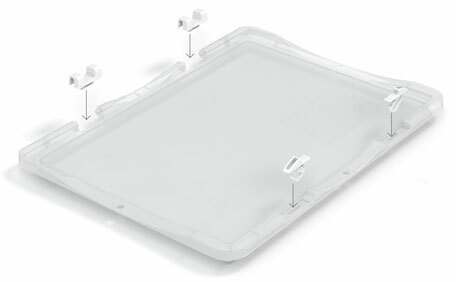 Another highlight is the securing function of transportation loads that helps to protect against slipping! 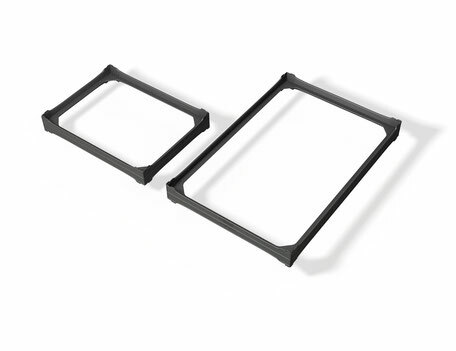 At the moment, the reversal adapters are available in two sizes, 60x40cm and 40x30cm. 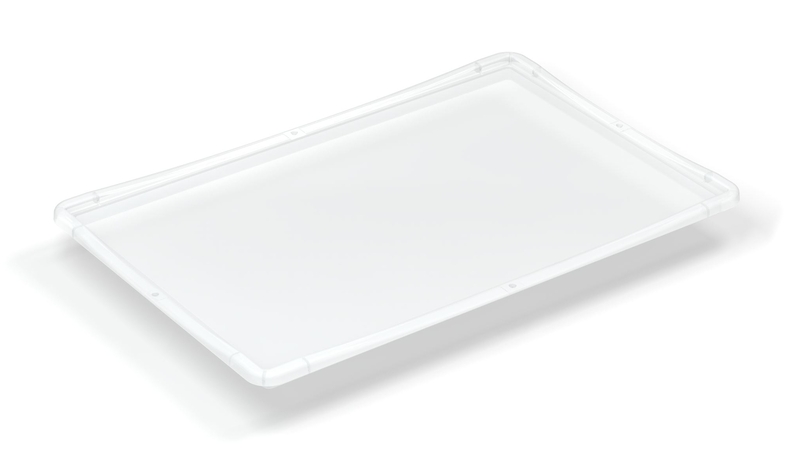 The two lid versions, with and without hinges, are the perfect supplements to our Euronormbox series. All lids are available in the Euronorm colors, grey, trans- parent and black and the appropriate sizes. 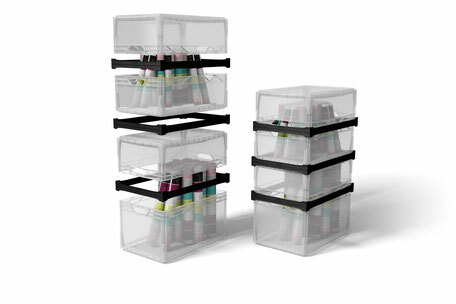 They ena- ble a clean and dust-free storage. NEW: For our two new boxes in the dimensions 20x15 cm and 30x20 cm we have developed special click lids, which allow an easy and fix closing. 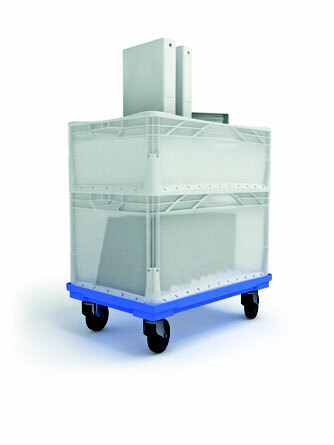 This trolley is perfect to move heavy and bulky goods as well as to stack foldable crates and/or Euronorm boxes easily and safely. 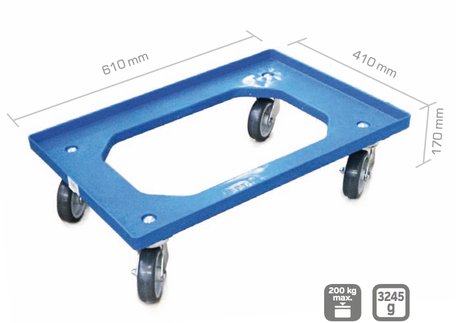 Our trolley is made of high quality polypropylene and available in the Euronorm dimensions 60x40 cm. Thanks to the high-quality light-weight steering rollers, a load of up to 200 kg can be transported.